Retired city clerk Jane Williams-Warren was chosen to be Paterson's acting mayor after Jose "Joey" Torres was convicted of conspiracy. Torres had been accused of ordering city workers to do construction at a relative’s would-be beer store on city time. Torres could spend up to 5 years in prison and will have to pay restitution, resign as mayor and never seek public office again. Jane Williams-Warren was chosen in a 5-4 vote late Friday to lead the city until the May election, NorthJersey.com reported. Williams-Waren was a city clerk for more than 20 years before retiring in 2014. She didn't attend the meeting. More than 100 residents came to the meeting to support Ruby Cotton, the city council president, who automatically became interim mayor on Monday after Torres stepped down and pleaded guilty to conspiracy in a corruption case sparked by an I-Team investigation. Some of the council members who voted against Cotton said they were bothered by the prospect of her being both mayor and city council president at the same time, NorthJersey.com reported. 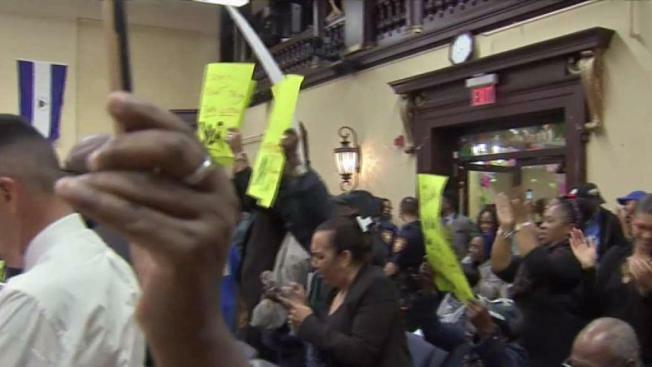 More than 100 Paterson, New Jersey, residents came out in support of the woman who replaced Jose "Joey" Torres, the former mayor who resigned after pleading guilty to conspiracy in a corruption case sparked by an I-Team investigation. Michael George reports. "We need checks and balances,” said Councilman Shahin Khalique. Residents held signs and chanted "Ruby" in support of Cotton. "Respect this woman," said one Paterson resident. "Give her a chance." 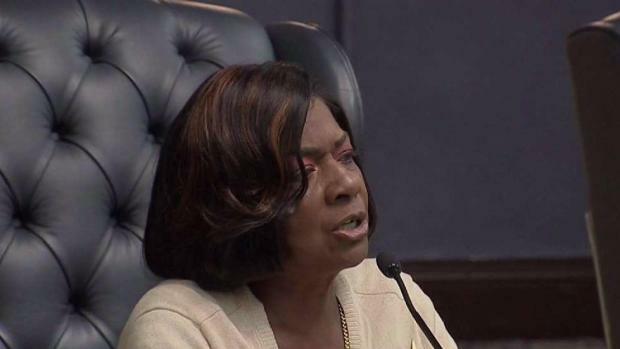 Cotton said she had hoped to stay on as acting mayor to restore faith in the office. "There's a black cloud hanging over us right now, I'm hoping the light can shine through," she said. It's the latest development out of Paterson since a 2016 I-Team investigation revealed that Torres was using city workers to do work for him and a relative's burgeoning beer business on taxpayers' dime. 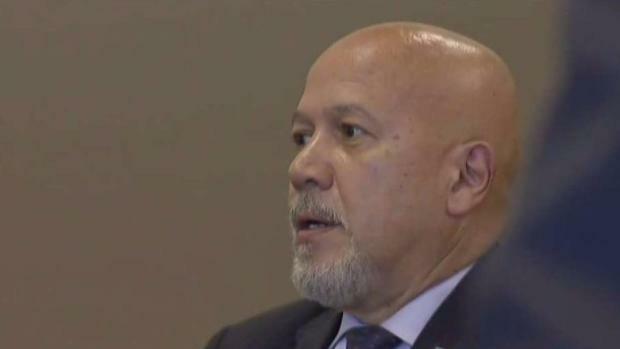 Paterson Mayor Jose "Joey" Torres has pleaded guilty to conspiracy charges in a corruption case sparked by an I-Team investigation in 2016. Jonathan Dienst reports. Torres and the city workers were arrested in March; they all pleaded guilty last week. Under Torres' plea deal, he will spend up to five years in prison, pay restitution to the city and never again seek public office. None of the city workers in the case will face jail time.